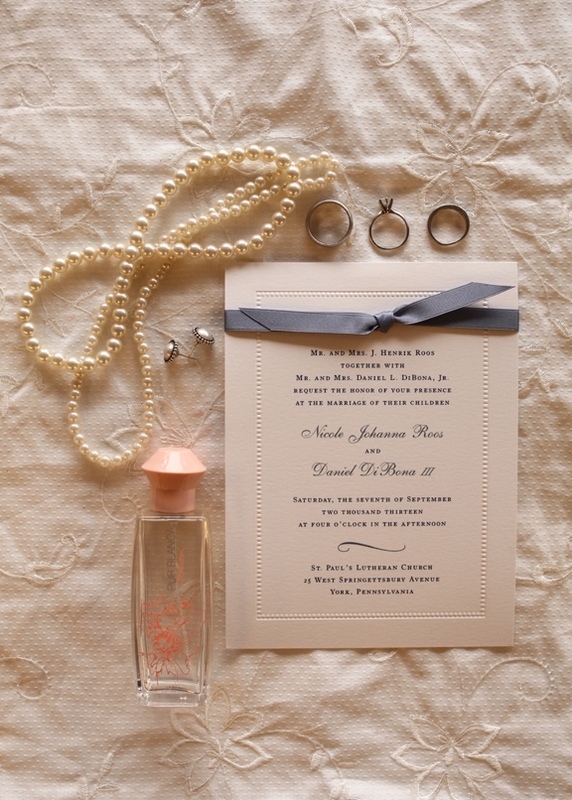 Traditional etiquette plays an enormous role in how Persnickety words every piece of a bride’s invitation suite. Even brides who opt for more unique or modern wording are interested in the tradition behind their wedding invitation, and there are always plenty of questions! To help, we’ve gone straight to the experts at the Emily Post Institute for their help in a series of new posts called Ask the Etiquette Masters. Here we’ll delve into those tricky etiquette questions brides have about their invitations and find guidance from Emily Post’s expert advice. Q. My parents are divorced and my father has since remarried. How do I list my mom, dad, and stepmom properly on my wedding invitation? A. How to list divorced parents on a wedding invitation is a question Persnickety receives all the time. According to the Emily Post Institute, the answer lies in who is paying for the wedding. Traditionally, the bride’s parents pay for the wedding invitations, but this is not the case for all cultures. If the bride’s parents are the ones paying, their names should be the ones listed first. If the bride and groom are receiving financial assistance from both sets of parents for the invitations, then the names of both sets of parents and their spouses should appear. Using the wording, “Together with their parents” is another acceptable way to acknowledge parents on the wedding invitation, particularly to avoid the invitation looking too cluttered with names and taking the attention away from the couple. Do you have a burning etiquette question about your wedding stationery that you need help solving? Drop Persnickety an email or a Facebook post, and let’s chat! That way no one is left out!